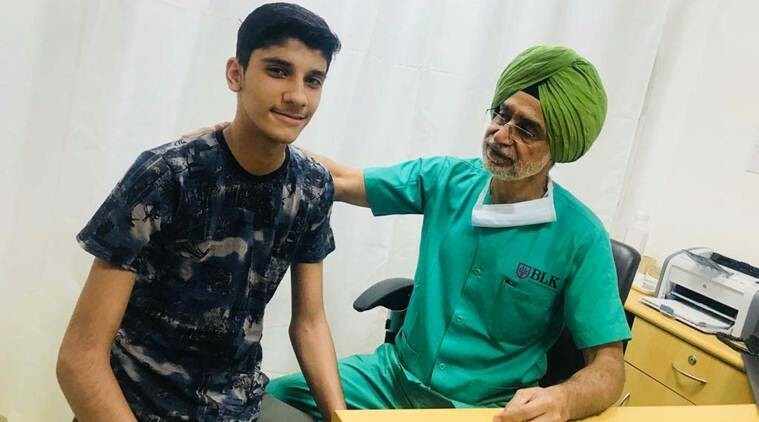 A 16-year-old boy from Iraq, suffering from severe depression deformity of anterior chest wall since birth, was given a new lease of life at a private hospital in Delhi. Abdulla Hasan, 16, had been having difficulty breathing for the last three years. The deformity progressed with age and became so severe that his breast-bone was almost touching the spine. He was diagnosed with a severe form of ‘funnel chest’, having severe depression in the breast-bone and adjacent ribs. “The deformed costal cartilages were removed, and the sternal deformity was corrected using wedge osteotomy of sternum and fixation was done using titanium plates and screws,” said Dr (Maj Gen) Avtar Singh Bath, senior consultant and head, Division of Plastic & Reconstructive Surgery, BLK Super Specialty Hospital.